Wise words such as these have reached the pinnacle of their existence now that the internet makes information (yes, even false information) readily available and easily distributed. It then comes as no surprise that quotes thought to come from notable church figures have other origins entirely. Be sure to keep this in mind as you scour Pinterest for a great Relief Society — or Elders Quorum, no judgment — printout to share at your next lesson. To make the lesson planning a bit easier, here are 8 quotes to watch out for. “Anyone who imagines that bliss is normal is going to waste a lot of time running around shouting that he has been robbed. The fact is that most putts don’t drop, most beef is tough, most children grow up to be just like people, most successful marriages require a high degree of mutual toleration, and most jobs are more often dull than otherwise. President Gordon B. Hinckley quoted editor and publisher of the Tulsa Tribune, Jenkin Lloyd Jones in his BYU speech God Shall Give Unto You Knowledge by His Holy Spirit. President Hinckley gave credit where credit was due, of course, regarding Jones as “one of [his] favorite newspaper columnists”. The quote can be seen all over Facebook and Pinterest, paired with Hinckley’s face and no reference to Jenkin Lloyd Jones anywhere. No, who really said it? Possibly no one. This quote does not originate from any talk or official document, but rather, an account given by Mike Thompson in an online forum from 2009. If you’re wondering who Mike Thompson is, no one really knows. Except for Teri. 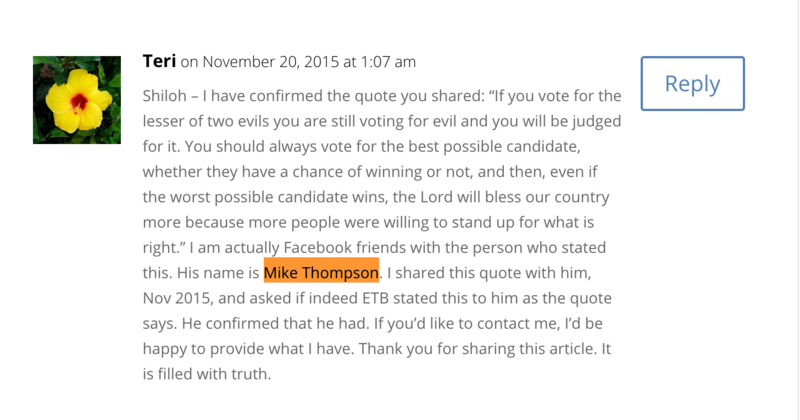 Note: Teri has responded in several comments below to vouch for the trust she has in Mike Thompson, who had a correspondence with Ezra Taft Benson and learned much from their association. We’ve also heard from Mike. So this quote is real, but not made to the Church at large, but as private advice. Though goodreads attributes this quote to Marjorie Hinckley, it was in fact Hunter S. Thompson who wrote this in The Proud Highway: Saga of a Desperate Southern Gentlemen. When you consider that the man who stated the above quote was also the author of the drug and alcohol fueled Fear and Loathing in Las Vegas — and not the sweet late prophet’s wife—it takes on a whole new meaning. Though it was actually Ralph Waldo Emerson who originally uttered the inspiring words above, goodreads,wikiquote, and occasionally a pinterest user give all the credit to Heber J. Grant. The misattribution can be traced back to the 1972 New Era piece that cites the quote as one of Heber J. Grant’s favorites, though he gave credit to the original author. 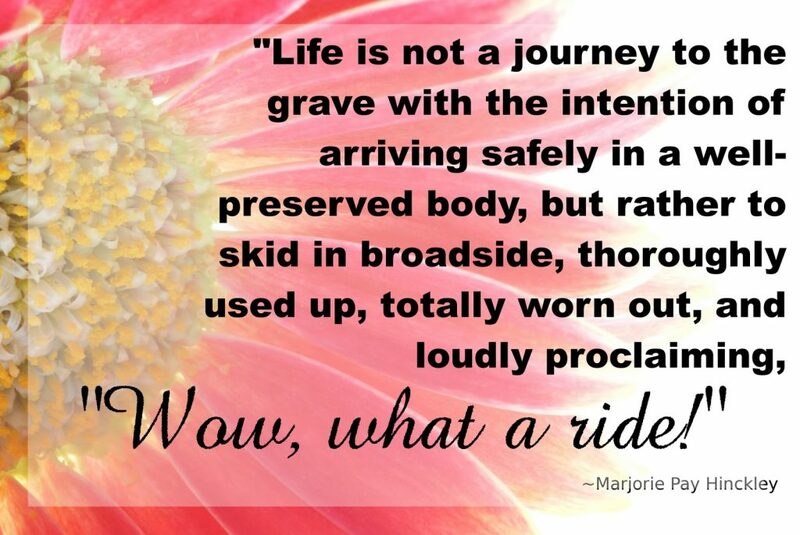 Uchtdorf quoted Saint Frances of Assisi in his April 2011 General Conference address Waiting on the Road to Damascus. 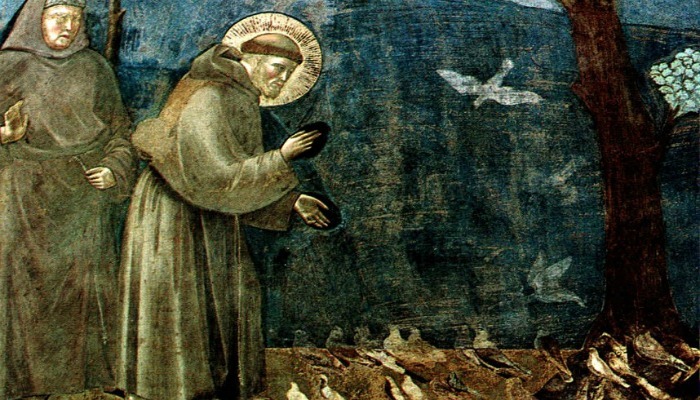 While Uchtdorf credited Saint Frances of Assisi in his talk, pinterest users everywhere failed to mention Assisi in their posts. No, who actually said it? No one — especially not Hinckley. This statement began making rounds in 2007, and sparked the interest of many who knew Hinckley to be more keen on discouraging sisters from serving missions. 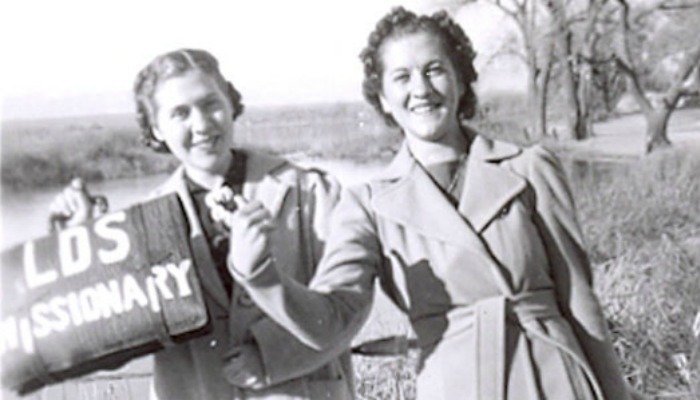 In the October 1997 Priesthood session, Hinckley reminded,”We do not ask the young women to consider a mission as an essential part of their life’s program.” The quote even prompted a memo from the Seminaries and Institutes Administrators’ Council warning teachers from perpetuating the “spurious sister missionary statement”. No, who actually said it? Henry Eyring Sr. Though I’m sure Henry Eyring Sr. wouldn’t mind his son spreading his wisdom throughout the lands, as a scientist, he might have a problem with the improper citation that has taken hold of the quote. The quote can be found in Mormon Scientist: The Life and Faith of Henry Eyring with credit given to its rightful author, Henry Eyring. Who actually said it? No one. The allegation that Brigham Young spoke so harshly of front buttoning pants comes from the single-issue Mormon Expositor. If you want to find more information on the Mormon Expositor, good luck. The “newspaper” released only one issue and is presently referred to as a 19th century version of The Onion. In other words, all of the paper’s claims— however entertaining — are false. The following is the First Presidency’s message this month, which we’ve taken the liberty of correcting a bit. The true Church of Jesus Christ has been restored and is on the earth today for Utah and 0.01% of people worldwide to benefit from. The Church of Jesus Christ of Latter-day Saints has always been led by living prophets and apostles (who are sometimes told to marry teenagers by angels with flaming swords), who receive constant guidance from heaven except for that one 21-year-period when they didn’t get any, according to Joseph F. Smith and a confession during a congressional hearing. God has again spoken in our time, through the Prophet Joseph Smith. He revealed through the Prophet Joseph the gospel of Jesus Christ in its fulness, including the divine law of polygamy (that is definitely different from the one other cult leaders created), which required Joseph Smith to coerce the 14-year-old daughter of Heber Kimball into marrying him. He restored His holy priesthood with its keys and all the rights, powers, and functions of the sacred power of the priesthood. He also taught through the prophet Brigham Young that a man with all the keys of the holy priesthood can take the wife of a man with fewer keys. Cool! In our day, living prophets and apostles are authorized to speak, teach, and direct with authority from God the Father and the Lord Jesus Christ. The Savior said to the Prophet, “What I the Lord have spoken, I have spoken, and I excuse not myself; and though the heavens and the earth pass away, my word shall not pass away, but shall all be fulfilled, whether by mine own voice or by the voice of my servants, it is the same” (D&C 1:38). We know that we need to listen to the men who call themselves prophets because the men who call themselves prophets said so. Though President Woodruff gave this quote to try and calm people down about the whole polygamy mess, it should definitely be taken as fact from the God who never told us about it Himself. In general conference twice a year, we are blessed with the opportunity to hear the word of the Lord for us from His servants. These meme-worthy platitudes are beyond price. But the value of that opportunity depends on whether we receive the words under the influence of the same Spirit by which they were given to those servants (see D&C 50:19–22). Because all the best truth requires you to decide before hearing it that it’s going to be true, and God loves thought-terminating clichés like “doubt your doubts” that are used to control every cult ever. 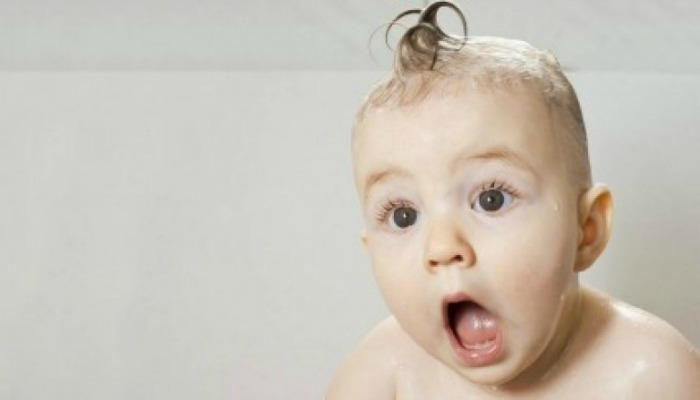 Years ago one of the members of the Quorum of the Twelve Apostles asked me to read a conference talk he was preparing for general conference. I was a junior member of the quorum, so I usually had my talks written by someone else. I was honored by his confidence that I might help him find the words the Lord would have him speak, because I know that God requires a lot of collaboration in order to give divine revelation. He said to me with a smile, “Oh, this is the 22nd draft of the talk.” It was like God himself was speaking directly to us. I remembered the counsel a loving and kind President Harold B. Lee (the one who said disabled people were unrighteous in the pre-mortal existence) had given me earlier with great emphasis: “Hal, if you want to get revelation, do your homework.” There was absolutely nothing about this that made me think it was a bit bogus. I read, pondered, and prayed over that 22nd draft. I studied as best I could under the influence of the Holy Ghost who sometimes tells people totally conflicting things but on the whole seems like a great guy/ghost. By the time that quorum member gave his talk, I had done my homework. I am not sure I helped, but I know that I was changed when I heard the talk given. Messages came to me far beyond the words that I had read and that he spoke. The words had greater meaning than the ones I had read in the draft, because I was determined to give them as much meaning as possible. And the message seemed to be meant for me, fitted to my needs because I was taught since childhood that these kinds of things would happen to me. The servants of God fast and pray to receive the message He has for them to give to those who need revelation and inspiration. No other religion does this and thinks they also receive God’s message and tons of smart people believe in it. What I learned from that experience, and many others like it, is that to gain the great benefits available from hearing living prophets and apostles, we must pay the price ourselves of receiving revelation, which mean shutting ourselves off from sources that are critical of our current beliefs because the cognitive dissonance is far too painful to deal with. The Lord loves every person who might hear His message (though he might occasionally be a bit racist or sexist or homophobic) and He knows the hearts and circumstances of each one. He knows what correction, what encouragement, and what gospel truth will best help each person to choose his or her way along the path to eternal life. We who listen to and watch the messages of general conference sometimes think afterward, “What do I remember best?” The Lord’s hope for each of us is that our answer will be: “I will never forget the moments when I felt the voice of the Spirit in my mind and heart telling me what I could do to please my Heavenly Father and the Savior” because I have drilled them deep into my head through brilliant inoculation and social pressure. 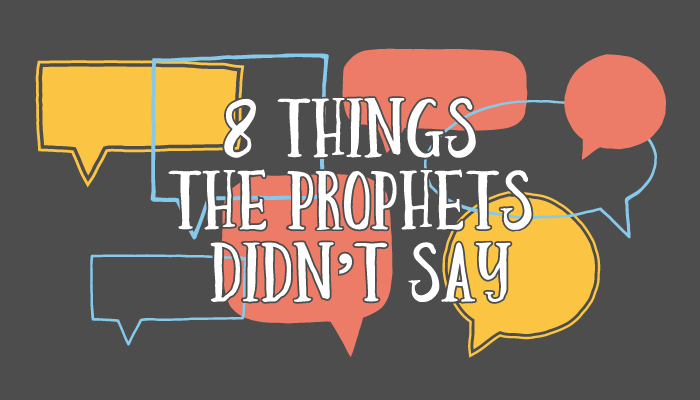 We can receive that personal revelation when we hear prophets and apostles and as we work in faith to receive it, just as President Lee said we could. I know that is true from confirmation bias and by the witness of my body’s endorphins so it’s definitely true. The author lives in Sergipe, Brazil. I was having doubts about what I should study at the university. Most people spoke badly about the course that I wanted to take, so I prayed to the Lord to see if He agreed with my decision. My answer came the following day while I was reading a general conference talk in the Liahona. I felt as though Heavenly Father was telling me by not saying anything at all that He couldn’t choose for me even though he definitely does answer prayers—this was a decision that I would have to make alone because He wasn’t really saying anything. I knew that no matter what I chose, I would have to work hard to be successful because it didn’t seem like God was going to help me out. I know that my prayer was answered by not being answered. The confirmation bias I felt helped me make a decision. I’ve learned to give my best efforts and know that Heavenly Father will help me as long as I’m willing to decide how He is helping me without Him doing anything. Follow the Prophet — There’s No Other Choice! Prophets and apostles speak for Heavenly Father and Jesus Christ. They teach us how to follow Jesus. Follow the paths to get to some of the things the prophet and apostles have asked us to do. Show children this video so they can understand what God wants for them.